What A Great State We Live In! I’m so proud to live in a state where we have the right to choose a license plate proudly proclaiming, “In God We Trust.” I’m not sure many state governments would have the guts to do that anymore. That pretty much sums it all up, doesn’t it? In every aspect of my life, personally and professionally, our gracious heavenly Father is the One guiding me. It’s when my eyes stray away from the cross that I falter every time. Yes, Indiana is “home in my heart,” and I thank the Lord for a husband and children (highly adaptable) who love it every bit as much as I do. They still laugh, however, when school is called off for the mere prediction of a snowflake. Those who have only lived in Indiana sometimes look at me like I’ve got a loose cylinder for choosing to live here, but after living all across this great country, I can say I know what’s out there, and Indiana’s not so bad, people. Quite the opposite. *Santa Claus, IN, receives more than one-half million letters and requests every Christmas. *Explorers Lewis and Clark set out from Fort Vincennes on their exploration of the Northwest Territory (winking at anyone who knows anything about my book). *Parke County has 32 covered bridges and is the Covered Bridge Capital of the World. *True to another of its mottos, Indiana has more miles of interstate highway per square mile than any other state. *The Empire State Building, Rockefeller Center, the Pentagon and U.S. Treasury, a dozen other government buildings in Washington, D.C. as well as 14 state capitols around the nation are built from sturdy, beautiful Indiana limestone. *Indiana means “Land of the Indians” but there are fewer than 8,000 Native Americans living in the state today. *Indianapolis grocer Gilbert Van Camp discovered his customers enjoyed an old family recipe for pork and beans in tomato sauce. He opened a canning company and Van Camp’s Pork and Beans became an American staple. *In 1905, Sarah Breedlove McWilliams Walker developed a conditioning treatment to straighten hair and amassed a fortune selling her cosmetics door-to-door – paving the way for the Avon Lady, perhaps? *From 1900 to 1920, more than 200 different makes of cars were produced in Indiana – Stutzes, Maxwells, Duesenbergs and Auburns – prized antiques today. *The American Federation of Labor (AFL) was organized in Terre Haute in 1881. *Vincennes was the capitol when Indiana was a territory, and Corydon served as the state capitol from 1816 until 1825. *Indiana is nicknamed the “Mother of Vice Presidents” for its five citizens elected vice president. Can you name them without research? If so, you get a gold star! *The first saxophone was made in Elkhart in 1888. *Of what variety are the two trees that appear on the righthand portion of the state seal of Indiana? (Hint: think of our state song). Sycamore. What animal is on the seal? Buffalo. *The state flower is the peony. *In 1992, Indiana ranked number one in the nation in the production of ducks and popcorn (Orville Redenbacher, anyone?). *The play Happy Birthday, Wanda June was written by what Indiana-born novelist? Kurt Vonnegut, Jr.
*While working as a technician for Indiana Bell, John Cougar Mellencamp accidentally cut off phone service to all of Freetown. There are so many more fun facts to know and tell. One last question for you: does anyone have a definitive answer to the question: What does Hoosier really mean? Keep on writing, fellow Hoosiers (whether native or adopted)! And always remember, In God We Trust. That’s my prayer today as I send off my second manuscript to my publisher! Amen. Janus, the Roman mythological god for gates, doors, endings, and new beginnings, lends his name to January. The bleak midwinter provides a perfect time to reflect backward and forward. This year has been one of much growth for me as a writer. No, I didn't manage to sign with a leading agent, nor did I land a seven-book contract with a major publishing house. But God graciously lead me to take several giant steps forward in my career. Giant Step #1: I hit 2010 at a run. It was one year ago this week, the last week of 2009, when a fellow ACFW member called together a small cluster of historical writers to form a Scribes critique group. I was thrilled when he accepted me to be a part of that select few because my wip is a middle-grade fantasy set in the twenty-first century and the nineteenth. It was an important step toward professionalizing my calling as a writer. As we've grown from being a cluster of strangers--albeit, sisters and a brother in Christ--we've become a cohesive unit that not only critiques one another's work but also prays for and encourages one another. I praise God for our critters. Giant Step #2: When it came time to renew ACFW membership, I didn't hesitate, largely because of the critique group, the specialized loops I had joined, and the camaraderie among Christian writers. Also, I joined ACFW-Indiana. Giant Step #4: God intervened with my plans. Because He had plans of His own. After a fourteen-year hiatus from classroom teaching to concentrate on my work as a writer and raconteur, I was offered an English teaching position at a Christian school. Five days a week--and sometimes more--I'm surrounded by middle-graders. Get the irony? I write for that age group. He plopped me smack-dab in the middle of the middlers! Every day I hear their interactions and laugh at their humor. Now it's time to look forward to 2011. Goal #1: I'll let Christ lead, revealing His plans, whether they be giant or baby steps. I pray He will guide my mind in the creative process, my fingers on the keyboard, and my heart to Him, that all I write will reflect Him, because if it doesn't, it's just a bunch of empty, vain symbols on a page. Goal #2: When I read that the agent who had asked for the full ms. was retiring, I went through a brief period of mourning. After all, this was the third time such has happened. (The first two were editors who, based upon conference interviews and their reading of partials and synopses, requested fulls. In both cases, they left their positions shortly after that conference.) As the Lord has done so many times throughout my life, He promptly reminded me that He is sovereign and omniscient; nothing comes as a surprise to Him. (See Jeremiah 29:11.) The agent had agreed that mid-March was a reasonable target date to submit my completed manuscript to her, saying, "The publishing houses won't be acquiring until after the first of the year, anyway." I am keeping with that original goal, finishing the final chapter as 2010 winds down and beginning revisions with the new year. Lord willing, I'll have the first revision accomplished by the Ides of March. Goal #3: I'll begin plotting and writing the sequel to The Second Cellar. Goal #4 I'll continue to hone my craft by participating in the Scribes critique group and studying various resources. Now, it's your turn. What steps did God lead you through in 2010 to improve you as a writer? Where do you hope to go in 2011? What are your goals? I can hardly wait to read your responses. I pray you have support as a writer this year. I pray those around you will be Holy Spirit inspired to speak hope and love and encouragement into your life. I pray for time to write, energy to write and the anointing to write. If God has called you to this ministry, I pray an Aaron for you. Someone to lift up your arms when you are tired and to stand by your side murmuring words of constant encouragement into your ear. I pray you will find intercessory prayer warriors to break through supernatural boundaries so that you can do more than humanly possible. I pray you walk in your calling, doing eternal work, and that you are able to accomplish much despite the enemy’s constant onslaught against you. and at your highest high you can give thanks and feel His glory shine through you, rejoicing! They say life is short, like a flower. We could burn under the hot summer sun. We could freeze under snowflakes so deep. We could wither or just simply grow old – and we will - this flesh, anyway. But life after this life is long – forever. I pray the scales fall from our eyes and we see as He sees (the beginning of wisdom) so that this next year we keep more than New Year’s Resolutions. We will become one year closer to what He created us to be. Happy New Year, my dears. And may God bless us (with undeserving grace and mercy), every one! Greetings Traveler! I hope you had a Merry Christmas (or perhaps are still having one). I hope Santa left a few writing gifts under your Christmas tree. 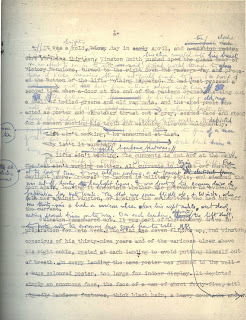 I have just a brief posting today about a writing exercise I like to use to flesh out stories and open up the imagination spicket from a trickle to a tidal wave. When I am having trouble plotting out my story or figuring out where I want the story to go, I sit down and write a short story about me (as the main character) telling someone else all about my story, my characters, and why they should read it. I tend to work this routine even if I don't know what that story is yet..or at least not all of it. The story might be just an idea I have with various parts of a beginning, a middle, or end floating about the realm of my imagination. If that is the case, this exercise can help you get the creative energies flowing by allowing you to write about your story as though it were done and you were telling someone about it. It forces you to create, imagine, and develop on the fly. While you are imagining how other people are going to react to your story...you might find that your story needs to go a different way in order to get the reaction you wanted (or imagined). After all, aren't we just talking to ourselves here in this exercise? a dress rehearsal for when you are presented with a "this is it" moment, where you get to pitch your story or idea to an agent or editor. Bottom line- this is a good exercise just to see if what you already have (or will have) sounds good (at least when your telling someone else about it) as though it were a finished product. It's a narrative type of plotting tool, if you will, that can help you develop your storyline and characters from what I call "the back book cover point of view." Anyway, try it. Take something you have already written and write a story about you telling someone about your story and how they react to it. You can then try it with a potential story that is swirling around in your creative think tank. Until next time........remember to write from the past, write in the present, and write boldly into the future. Most writers work at home. Some of us even have a dedicated office. That's mine in the picture. With tax season coming, you may be wondering if you can deduct expenses for your writing space. Expenses like heat and electricity and property insurance. I'm not a tax specialist, so you should talk to your accountant before claiming home office expenses. But I can give you some general guidelines, which I have tailored to writers and am posing as questions. 1. Do you write as a business? My March 25, 2010 Hoosier Ink post called "Write On and Write Off" will help you figure it out. If writing is your hobby, you cannot deduct home office expenses. If it is a business, it still depends on the answers to the next three questions. 2. Is there a discrete part of your home that you use exclusively for your business activities? This could be a separate office or simply a desk in the dining room that is dedicated to your writing activities. If your children use the office or the desk to do their homework, it doesn't qualify. If you write on the dining room table and you serve meals there, too, it doesn't qualify. You can, however, use the space for more than one business activity. For example, if you make jewelry and sell it over the Internet, you can use the same space for that business as you use for your writing business. 3. Do you use the space regularly for your business purposes? You don't have to use it forty hours a week, but incidental or occasional use isn't enough. Unfortunately, I can't give you a bright-line test. 4. 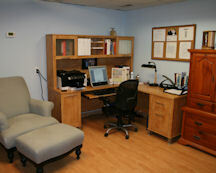 Is your home office your principal place of business for your writing activities? It doesn't have to be your jail, however. It's okay to write at Starbucks if you do your paperwork (submissions, bookkeeping, etc.) in your home office. Even if you answered all of these questions "yes," you may still have a problem. That's because how much you can deduct depends on how much profit you make. And even if the royalties are rolling in, your deduction must be proportionate to your dedicated space. If your office is 10% of the square footage in your home, you can deduct 10% of your utility bills. If the desk in the dining room takes up 2%, that's all you can deduct. For more information, visit the IRS website at http://www.irs.gov/ and download Publication 587, "Business Use of Your Home." Sitting in the Setting - Does It Make a Difference? A few weeks ago, I found myself sitting in a pirate cave. Yes, a for-real pirate cave, and not off on some distant island in the Caribbean--though I wouldn't have minded that too much. No, this was an enormous cave in Hardin County, Illinois, just west of the Indiana state line, on the Ohio River. Having researched and settled on this locale for my next Christmas novella, I decided to visit it. My non-writing friends, upon hearing I was taking a research trip, assumed my publisher had planned and funded this endeavor. Did my resort hotel include a free spa and nightly massages? Again, I wouldn't have minded that too much. Instead, I drove halfway and, having been mugged and hugged and slimed by three sweet grandkids and a dog, spent the night on my daughter's sofa. Eat your heart out, Karen Kingsbury. The next morning as I drove the last fifty miles or so, the familiar Midwestern cornfields and small towns morphed into the hilly Shawnee National Forest. I pulled into Cave in Rock State Park and hiked to the cave where, during the early 1800s, bloodthirsty pirates often raided flatboats carrying pioneers westward. Some took the more subtle approach and lured weary travelers to a tavern in the cave, then promptly robbed and--ulp!--did away with them. My story takes place a decade or two after the worst events, but if my plot continues as planned, the cave, long a center of illegal activity, will be involved in my novella. I had read about it and seen it on the Internet, but sitting alone in its echo-y vastness, even on a sunny November morning, I heard voices from its walls I would never have noticed had I stayed home. I climbed the rough, uncaring limestone and swished the dead, broken leaves on its mud floor, smelling its dampness and age. All the while, the Ohio River, an innocent blue on the lovely day, rippled in front of its wide-open mouth. My story will be better because of that one-day hurry-up trip. Books, magazine and newspaper reports of settings give us solid foundations for good fiction. And while virtual tours of locations are invaluable to us writers, computers cannot touch. They cannot smell--at least, not yet. And they cannot feel the emotions that well up in our squishy stomachs and make us wish our big, strong hubbies had accompanied us. Interviews with area natives can give us human perspectives that written and cyber material cannot. Still, a first-person experience of a setting, if possible, takes the author beyond looking at snapshots and watching videos. 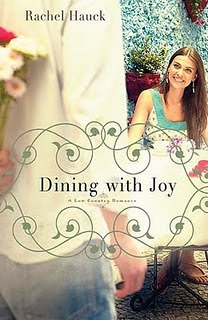 She assumes a role in the real-life drama she longs to share with her readers. How about you? Have you found that visiting a setting--or a similar one--makes a substantial difference in your writing? Anne Lamott says Flannery O’Connor feels anyone surviving childhood has writing fodder for the rest of life. Maybe. Maybe not. But if you’re stuck or in need of writing prompts, Lamott suggests starting with your childhood. Just start getting it down. Scratch around for details be it kindergarten, family vacations, holidays or birthdays. Write everything you can remember about everything. Mine every possible vein. Once you’re started, in order to keep from getting overwhelmed, go for the short assignment. Lamott kept a one-inch picture frame on her desk as a reminder of short assignments. Or in her words, take each step “bird by bird.’ Perhaps all you can write at the moment is all that you can see through a one-inch picture frame. E.L. Doctorow says writing a novel is like driving a car at night. You can see only as far as your headlights, but you can make the whole trip this way. Nice analogy. Whether we’re a pantser or a plotter, we can see only as far as our headlights or imagination can project. We create a novel step by step or word by word. Lamott reminds us to expect a crappy first draft (she uses another word!). She says the first draft is a down draft. You get it down. 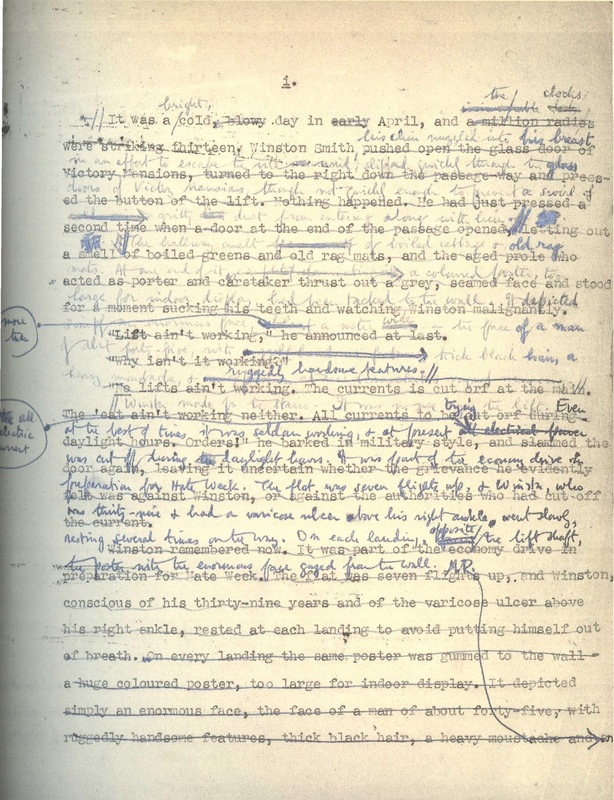 The second draft is an up draft. You fix it up. The third is a dental draft, meaning figuratively every tooth or literally every word is checked. So, there you have it- down, up and dental! If you haven’t made friends with Anne Lamott, buy a book of hers as your personal Christmas present. Pearls can be gleaned from this saint/sinner writer. Picasso says art washes away from the soul the dust of everyday life. Lamott says writing and reading deepen and widen and expand our sense of life: they feed the soul. Keep Your Hands Off My Jesus! You know those Christmas movies where the whole family gathers around a beautiful tree, singing and decorating while they munch on popcorn and sip steaming mugs of cocoa? You know, the ones where the whole family fits at one gorgeous dining table, dressed in their finest and eat from fine china? Yeah, those movies make Christmas seem so sweet and warm and wonderful. Well, that is not the way things go down around my house. Inevitably, the lights on the tree don't work and hubby grumps and growls, kicks the cat, and finally gives up, turning the dark spot toward the wall. The kids fight over who gets to put on which ornament and while their attention is diverted the dog slurps the marshmallows off the top of the hot chocolate. Our entire family never fits at the same table and elastic-waisted pants are in vogue. And even if we owned enough china for the whole clan, what nut would trust the kids with it and who wants to spend the afternoon sweating over a sink full of suds anyway? But every year I look forward to the one tradition that is mine and mine alone. I can complete it to perfection, it always produces beautiful results, there are no fuses to blow, pieces to loose, or someone to show up at the last minute and throw off my carefully laid plans. It is the staging of the nativity set. In the minutes after the tree is up and the stockings are hung, when hubby carries boxes to the basement and the kids lose themselves in the rediscovered Christmas books, I pull out my beloved nativity set. No one begs to help. No one tells me how it should be done. No one gives me unwanted pointers. You see, it's always been my job. In the little wooden stable created by my dad when I was a young girl, I arrange the ceramic animals. The donkey rests beside the feed box and the ox balances the scene with her dark bulk near the door. Then comes the Holy family. Mary is always on the right; Joseph to the left; baby Jesus positioned just so, front and center. Finally, I symmetrically arrange the three wise men and the shepherd boy carrying his lamb. I stand back and sigh a contented breath. No one can mess with my artful arrangement, my pleasing symmetry, my balance of color and light. Amid the chaos, it is one thing I can count on year after year to give me peace. That is until the year someone couldn't keep their hands off my Jesus. The kids were small, all still in single digits and I never did find out who did it. I'd walk past the stable only to find the entire entourage lined up shoulder to shoulder facing the newborn King. I mean, you couldn't even see the little guy because they stood like a police line-up, backs toward the open doorway. I'd re-arrange everyone and breathe in a happy sigh, setting things to rights. The next day, I'd walk by and now the whole crew formed a protective ring around the Tot in swaddling clothes. Reminding me of wagons circled to guard against enemy attack, there they stood, laid, or rested, eyes focused on the Baby. I'd huff, thinking that in their messing with my manger, my kids were likely to break one of the fragile figurines. Then God spoke to my heart. Was Christmas about presenting a perfect picture? Was it about projecting a polished and put-together presentation? Or was Christmas about Jesus? Wasn't He the star of the show? Wasn't it His story that needed to be told and remembered? For the rest of that year I left my hands off Jesus and His posse. I let my kids have their way with the cold, hard figurines because God had melted and softened my heart by their innocent actions. This week leading up to Christmas I pray for each of us, that we'll make Jesus the star of our holiday. That we will focus on Him. That we will strive less to create the perfect atmosphere and work more to capture the perfect attitude. I pray that in everything we do--working, writing, loving, entertaining, preparing--that we never fail to keep our focus on the One who came as a helpless babe, into a dirty, flawed, and sin-filled world so that we could be made perfect. I have a quiet moment now that the kids are in bed. The brotherly sock war has ceased; the dog has quit chasing the cat and we got her out of the Christmas tree; and my first coat of black paint is drying on a rock being transformed into a lump of coal for an especially obnoxious someone. This will be my last blog post of 2010. For us it has been a whirlwind year. I wrote earlier that I had started a new job in quality control at a local factory. That was the most overwhelming change, as far as exhaustion and culture shock. I thought I would add to my vocabulary but a lot of my co-workers use one or two words like multi-purpose tools: as a verb, noun, adjective, adverb, interjection, etc. I kind of have to laugh. Mostly nice people with some rough edges. Exhaustion took a toll on my writing. Many nights I would open the file of my WIP and write just a few sentences, just enough to see that it was updated that day, and a few more words added. However, I am grateful to God for a job; good health; healthy family; a good year on the farm but most of all for watching over us. He watches over our physical health but also over His plans for us (Jeremiah 29:11). The Lord has a plan for my growth; my family's development; the farm; our jobs; and my writing. I want to keep plugging away at it and trusting Him to see the big picture and get me there from here. My doubts don’t stop there. I go on to ask myself, “Even if I got published, would it be worthwhile?” Books have such a short shelf life. People read the book… then forget it. All my work, all that time I spent on it, is gone. So I entertained someone for a few hours—is that any kind of substitute for ministry to real live people? Hoo. Those questions really bother me. I don’t want to waste the time God has given me. I don’t want to neglect someone I should be helping. On the positive side, I do feel like I’m fulfilling a gift when I write. I’d really love to be able to sing—you know, just belt it out and actually sound good. Instead, at best, I meow. I’d love to be able to paint masterpieces. Instead I blush at my silly stick figures. And how I’d love to be a gourmet cook. Instead I mess up even the simplest of recipes. But I can write. I come alive when I write. Joy bursts in my heart and radiates out to my skin when I write. Even when I hate what I’ve written, it’s only because I want to be a “10” and nothing less. Still, the question remains. Is writing fiction worth all the time it takes me away from ministry to others? First, from Matthew 9:35, the ordinary means of evangelism is teaching and preaching. Hopefully, fiction doesn’t preach, but it does teach. Not overtly, but subtly. There’s no question the author’s worldview comes across in the story. And usually our characters change from the beginning of the story to the end. They learn something. They’ve been taught something (and the reader with them *big smile*)! And, lastly, what is the motivation for evangelism? Verse 36 says Jesus was “moved with compassion for them, because they were weary [harassed] and scattered, like sheep having no shepherd.” In fiction, compassion for our readers translates into their identifying with what happens to our characters. Occasionally I read secular literary fiction, and almost always I end up throwing the book across the room when I come to the finish. Pessimism, not compassion, is too often the sledgehammer those authors wield. So, the long and short of it is that fiction-writing can be ministry. As Christian authors, our stories are seeds sown to bless our readers and glorify God. Doesn’t matter how long our books are on the store shelves, or how many books are sold. What matters is that we are God’s laborers. Of course, there is that little factor called publication. I’ve come a long ways from thinking you write, ergo you get published. Yeah, bwahahahaha! So, I have no control in that arena. But God does, and I can leave it in His hands. My responsibility is to be a faithful laborer. Learning to write the best I can is my part; getting published, bringing forth fruit—that’s God’s part. Ahh, at last I’m at peace. (Most of the time.) How about you? Do doubts torment you? When I first got the crazy idea to write a book, I decided to Google, "How to write a novel." I was promptly introduced to Randy Ingermanson and the Snowflake Method. Little did I know that was just the beginning of my profitable relationship with Google. We all have research needs as writers, and while Google doesn't always provide the most official answers to our burning questions, it's a great place to start. Here's just a sampling of Google searches from my writing journey thus far. - Is a caveman the same as a Neanderthal? Inquiring minds want to know. - How deep is a casket buried? Just in case I get buried alive some day. - Tools at a lumber yard. Never hurts to learn a new skill. - Do Amish work in factories? This question keeps me up at night, and I want to put the Ambien away. - What does a flooded basement smell like? I'm looking for a new scented candle. - What's a nickname for big ears? My son needs a nickname for the neighborhood bully. - How do the Amish heat their homes? My furnace is on the fritz. - Marathon training schedule. Just in case I get motivated to run more than a mile. - Drainage pipe codes. My hubby's got an outdoor project planned. - How long is an industrial dishwasher cycle? Looking to replace my residential one. - Commercial real estate license requirements. I need another career option in case this author thing doesn't work out. What's your favorite research tool? Do you have any unique Google searches to share? “If you jump into a story without considering the implications of the viewpoint you’re liable to discover that your writing becomes harder as you go along” (David Morrell, Lessons from a Lifetime of Writing, p. 91). Morrell recommends considering questions and weighing the pros and cons of four viewpoints before writing far. I’ve distilled his advice to writers. Who can best reveal absolutely essential information? One character? Two? A few? Which point of view allows you to get to the depth of your story? He or she can describe the sweeping flow of history as easily as intimate thoughts of the heart of any character. Reader can see into the mind and emotion of any character. We live in a skeptical age. Readers question what narrator has the ability described above. Arriving at no satisfactory answer, readers determine the story is made-up, a sham. They refuse to suspend belief and story is abandoned, unread. Because it is limited it can reflect a story’s theme: the limitations of individual perspective. If the viewpoint character doesn’t know it, the reader doesn’t know it. “If you’re good at role-playing, if you can imagine you are inside a character, if you can think and feel with that character and make your readers share those thoughts and feelings, you can trap your readers and make them feel they’re in the story instead of merely reading it” (p.99). Can dramatize a character’s trauma. Character who addresses the story with second person has disassociated from self, which distances readers. Distance between character and reader can be overcome by using present tense, thus the reader is simultaneously taken out of and drawn into the story. This is a difficult point of view to sustain for the length of a novel but can be sued effectively for shorter fiction. Effective for narrators who are self-deluded, liars, fools, insane or psychologically traumatized. Brings the reader directly into a narrator’s agony. Narrator doesn’t understand the true nature of what he or she is saying; reader has the pleasure of discovery. Story is as interesting as the character telling it. Encourages writers to jabber and neglect details of sound, smell, taste and touch. Tendency to rely almost exclusively on sight details. If the narrator is one-dimensional, the reader has nothing to discover and the story seems a string of I-I-I statements. Writer must find a reason for the narrator to record his or her story. Tendency to summarize and explain; harder to dramatize. Removes suspense: reader knows the narrator survives the story’s conflict. First person is the most trapped of viewpoints. Morrell advises looking for every reason not to use it since it is difficult to sustain for the length of a novel. Have You Hugged a Critic Today? We already know that we need to be careful what we say online, because people are listening. And some interesting things can happen because of that listening. This notion isn’t new; it’s the basis for the borderline paranoia that frequently masquerades as “caution” in our writing circles. But if we flip over that paranoia—if we actually start thinking in terms of “who might be looking at my blog, and why”—this notion, and the reality it represents, can bring about some pleasant surprises. I had one, some time ago, through my personal blog. Not through the blog posts themselves—although I certainly try my best to make those instructional—but via the comments. On most blogs, the comments section can be a dicey place. Crazies surf widely, post erratically, insult freely, and spam comboxes, to the point where you may have myriad fans of your blog who never look in your combox. It’s just not worth the hassle of weeding through the nonsense to get to thoughtful conversation. I don’t often receive mail at my day gig; my authors and I communicate largely by e-mail, in some instances by telephone or by fax. Even our proofreaders who prefer “hard copy” to “track changes” will send their hard-copy page corrections via fax. So, unless it’s a Christmas card or something else wonderful from an author, I rarely have things addressed to me at the day job. Thus, when I got a package one day, I was surprised. I was even more surprised when I opened it and found a book, and a note, from an author whose work I had criticized at some length, months earlier, in the comments section of my personal blog. I admit, I opened the note with some trepidation; I’ve received more than my share of damning-with-faint-praise under the guise of such letters, and on that particular day, I wasn’t in the mood to be grownup and mature should that prove to be the case. You can imagine my surprise, then, when I read a thank-you note—for my criticism. I had pointed out what I saw as glaring weaknesses in an author’s work…and she thanked me for it. That would have been impressive enough—but she didn’t stop there. She also thanked me, by name, in the acknowledgment section of the new version of the book. Now, if you don’t already know this about me—or haven’t figured it out by now!—I am, as I often put it, “a sucker for lavish praise.” Everyone loves to be praised, of course, but I think I love it even more than average; so anytime I’m thanked on a page of a book, it’s an occasion to remember for me. I’ve had other authors do it, although not nearly enough times so it’s in any danger of “getting old” (as if being praised ever can). But I have to admit, this is the first time I’ve been thanked, in public and by name, for something I’ve said in what in essence can be a “throwaway” part of a blog. That, I think, says something important—even encouraging—to all of us. It’s one thing to recognize intellectually that everything you say can be heard by someone, and that what you put online stays up pretty much forever. It’s another thing entirely to realize that someone whose name you “take in vain” might be reading one day…might examine what you say and how you say it…and might have that resonate enough that your words become a learning moment for all concerned. Mary Allen's excellent Hoosier Ink blog (12-1-10), "Goal Setting for Dream Getting," started me thinking about the other kind of dreams, the night-time-fast-asleep kind of dreams. I like reading about them, and I also like using them in my fiction writing. Sometimes my characters' dreams are ones I've made up. Sometimes their dreams are ones I've actually dreamed myself. For yes, I'm someone who dreams every night, and when I'm writing, my dreams are often tied to my writing. 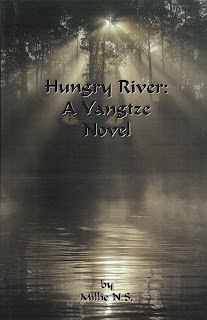 Here are three examples of the sleep dreams I use in my novel, Hungry River: A Yangtze Novel. The first two examples below are REAL dreams I experienced while writing the novel (and then used in the novel).
. . . I had a frightening dream last night – and not one of my war nightmares. I was back in China and on trial. I didn’t know for what, but thought it was for being a Christian. As the judge harshly announced my sentence in Chinese, I didn’t look at my family so they wouldn’t be in any way incriminated by me. Later I found out it was terrible I hadn’t looked at them because – that’s when I awakened, not remembering why, with my heart pounding in my ears. Now as I write, I feel great sadness to think of the millions of Chinese who really experienced something like that, including many of my family’s dear Christian friends. . .
. . . such a disturbing dream I had last night. I was lost in a strange place – a town ancient and scary. The streets were dark alleys, narrow and winding. Peculiar old houses closed in around me. As I hurried along, I kept stumbling into a smelly street-side gutter. People crowded against me from all sides, taunting and laughing. No one could help me find my way because I didn’t know where I was going. Mixed in my dream was a frantic feeling for a lost child. I kept calling his name – was it one of my brothers? One of my children? What a relief to wake up! It took me until this evening to realize the dream was of my childhood memories of Fengshan. I’ve been sitting here thinking it probably didn’t change much between my grandparents’ and parents’ time and mine. But the new river town being built because of the Three Gorges Dam will be different. It will be a modern, more pleasant town, I think, and no longer a place of nightmares. . . The third dream example that follows is similar to dreams many missionaries (including my parents) and other Christian workers have heard from new converts. Based on that, I "made it up" for my character named Wang Sister. She was ready to lie down beside her baby asleep on the quilt spread over the strange bed of woven rope and wood. But first she knelt by the corner of the straw mat on the floor where she had hidden her paper goddess image. Puzzled, she had complied. Now she worried the river goddess might become angry with her village and once again stir up the river dragon against them. If she could not burn incense and offer appeasement gifts of food, what should she do? In a dream that night, her answer came. She dreamed she saw a beautiful shining light by her bed and heard a strange voice – a kind voice that told her not to be afraid. The voice told her to worship the True God of her new employers. That back home in Fengshan, her people longed to hear about True God too. They were weary of trying to please the fearsome river gods. The next morning, Wang Sister awakened with a new feeling inside – a feeling of peace. This is the time of year when we Christians think about our loving God's use of dreams (and visions) in His miraculous redemption story. Maybe those dreams are the reason I've always been fascinated with dreams. How about you? What are some of your experiences with dreams? May your dreams this season of Christmas be blessed ones! If you’re like me, you have days in the writing process when you tell yourself you wouldn’t do this for any amount of money or fame—at times it’s just too difficult. We all know money should never motivate the ministry of writing lest it taint the entire project. Of course, the laborer is worthy of his reward (1 Tim 5:18) and by necessity money usually becomes a byproduct of hard work. Not that there is anything wrong with outlandish (but healthy) dreams about bestsellers and book contracts. Yet, as a writer for Jesus we must periodically remind ourselves of the real reason we labor lest we fall into the same downward spiral as Apostle Judas. Contrary to the way most artist depict Judas, he was likely the most charismatic and dedicated man in the group. When looking for a financial secretary to keep the bag, we wouldn’t choose the dark, sullen man with the pointed eyebrows like artists have illustrated. We’d choose the most reliable person in the group, the one who exhibited sterling qualities and trustworthiness. I feel confident Judas was the most liked member of the group and had all the potential to be the super apostle of his day. After all, it was Apostle Paul who replaced Judas. The name Judas implies he was from the tribe of Judah. This tribe had the responsibility of leading praise and worship for the nation of Israel. Most of Israel’s musicians came from the tribe of Judah. It makes sense then, that the English word translated bag was the Greek word for container for reeds (Strong’s Exhaustive Concordance). I picture Judas digging deep inside his knapsack looking for something to hold the money and finding the little bag where he stored the reeds for his instrument. It must have been the perfect place to store a few coins at first, but as the offerings grew the money must have crowded out the reeds until it became only the money bag. Sadly, this was symbolic of Judas life and downfall. His ministry began with the right motive, his vessel filled with worship and praise, but the love for monetary gain crowded out his worship. In that condition, his end was inevitable. Unable to forgive himself for betrayal, his last known act before suicide was to throw the money on the temple floor. As Christian writers, we can learn from the pattern of Judas’ decline. Our ministry must first glorify and honor Him who created all things—money, by nature will follow. I influence heavily for my Indiana ACFW authors, but also any ACFW member, so don't tell anyone, but I'd do this without winning a book or a mixer, but I can't tell you the boost of joy that it gave me on Tuesday to learn I'd won! Merry Christmas and Happy New Year to all! Blessings on your writing in 2011. People think writers are hard to find gifts for. I disagree. Give us a pencil, a pad of paper and a coupon book for an endless amount of free time, and we're happy. But, if you insist on spending money on us, who am I to stop you? Here are some ideas for gifting writers. It's not too unique, but writers love books. Especially in the genre they write in, and most especially in the genre they don't write in. Oh, and they especially, especially appreciate books on the writing craft. Okay, so maybe just a gift card to a bookstore or amazon.com is in order. Coupons/gift cards to their favorite hang out -- Starbucks, Coffee Shops, etc. If you are buying for the lady writer, this lipstick flash drive or this adorable purse flash drive is the ticket. For the not-so-girly-girl or guy there are other unique flash drives here, or here and here. It gets cold in my office where I write, so I imagine writers could use a pair of handerpants or fingerless gloves. Not to mention warm slippers or booties for keeping writers' feet warm on cold wooden or tile floors in winter time. When writers are working on a project they don't get to cook very much so this bacon air freshener or corn dog air freshener would come in handy and help the family feel like they had a home cooked meal while eating delivered pizza for the umpteenth time. Nothing says "Merry Christmas" quite as well as a generous gift of eggnog soap. If your writer has a deadline close to Christmas, they may feel better about missing the Christmas frenzy of fruitcake and turkey by your thoughtfulness in gifting them with these inflatable ones. Some writers are neat and tidy, and others, like me, live er, a little more creatively. For those who are a little challenged in the area of tidiness, this mini-file for all those business cards they collected at the last writer's convention is handy dandy. For the suspense writer, nothing says Merry Christmas better than a knife stabbing the refrigerator/file cabinet or splat stan coaster or knife coat hook or dead Fred pen holder. For the writer who often loves to play host and hostess, they'll love these. Etsy.com is one of my favorite places to find unique, handmade gifts. I like the site because I'm helping independent artists such as myself (writers are artists, right?). Find unique gifts for writers here. I love my headphones and ear buds for listening to music while I'm writing. They also help block out the sounds of the house. However, I'm constantly misplacing them. You can never have too many. Find some cute ones here, and here and an adorable way to store and keep track of them here. Actually, the ideas for writers are endless. They'll love a moleskine journal, or a nice pen, the 2011 Christian Writer's Market Guide, or tuition to a writer's conference. The kids can make a coupon gift of writing time for Mom. The spouse can promise not to complain when a deadline looms and they have to stay in the writing zone. I am acquainted with a lot of writers, and I think I know what they would like the most of all this Christmas. Most of all they'd like your love and support. They'd like time with their families. They'd like to know that you "get" what they're doing, and believe that what they are doing is leaving a legacy because words are forever. Okay, fine. What they really want -- are contracts. Lots and lots of contracts. And chocolate. Some years ago I learned of a writers group that held monthly meetings not far from where I then lived. I rejoiced! For years I had been writing and selling articles and short stories, but mine had always been a Lone Ranger writing adventure. In other words, I worked on my own, with little objective feedback from others in the business. I didn't know any other published authors in my area who could give and take helpful criticism to improve manuscripts. "At last," I thought, "some fellow writers within driving distance." However, although I attended two of that group's meetings, what I found was disappointing. The fact that none of them were published would not have bothered me if they were at least serious about studying their craft and polishing manuscripts to make them acceptable for editors. Unfortunately that particular group was not interested in improving. One after the other, they would take turns reading mediocre samples of what they had penned, and then the listeners clapped when each reader finished. No one asked, "How can I strengthen this? What would make it better?" And no one offered constructive suggestions. Rather, each person simply waited for his chance to read, and then to receive polite applause. Concerning getting their work into print, they began to discuss taking up donations among themselves to print their own material, which they would then offer for free at the checkout desk of a local library. I was appalled. The fact is, anybody with a keyboard and a functional set of fingers can sit down and tap out letters, words, and sentences. The trick is combining words and sentences that captivate the mind of the reader for page after page. Will the manuscript be so engaging that an editor will say, "We like this submission. We'll buy it"? At least one person in the group that I twice visited expressed jealousy that I was earning money from my freelance writing, but none of them was willing to work at their craft in order to raise the quality of their own work to do likewise. (Instead, they offered flimsy excuses for why their writing was not better. For example, that they had goofed off in high school many years earlier.) Evidently they viewed getting a manuscript accepted for publication the same as they viewed finding money on the sidewalk: it might happen to you if you got lucky. Of course, everyone likes to receive praise. But a serious writer focuses first on his craft. He learns correct grammar. He masters punctuation. He searches for vivid, picture nouns and vibrant verbs that will breathe life into his stories and make them come alive. He studies successful novels, dissecting them to see how published authors evoke emotions, develop scenes, and develop dialogue. A tenacious writer willing to do all these things raises his work out of the vast sea of mediocrity and has a good shot at selling manuscripts. But the uncommitted writer who is willing to skip these steps in favor of a few seconds of applause by friends or family will likely remain unpublished. If you're reading this Hoosier Ink blog right now, chances are you are one of the motivated minority who seriously seeks to improve and succeed at writing. For you, what part of the writing biz has proven challenging? Realistic dialogue? Point of view? Research? The loneliness of life at the keyboard? Or...? Hoosier Inksters have one thing in common: we’re involved with writing because God compels us in that direction. God has placed a dream inside each of us. He’s created unique gifts and talents and has a special plan for how, where, and when they are to be used in the tapestry of life. That dream may be to have one book published, become a literary agent, write a movie script for Hallmark, or be a bestselling inspirational author. Whatever it is, it seems too big to be true, yet you can’t shake the feeling you should do it. Dreams can come true. God says he’ll place within our hearts the desires that will best accomplish his purpose for our lives. That means you don’t have to fight that dream. You can acknowledge it. The dream may be years from fruition, but everything you experience, especially what seems detrimental to its accomplishment, will only create a better harvest, if you don’t grow bitter. This is where goals enter the picture. A goal is a step that moves you closer to your dream, big enough to be an interesting challenge yet small enough to be attainable. A goal could be to work at a horse ranch doing research for your next wip, hold a book signing, develop a blog, complete a course, or attend ACFW conference. An unmet or frustrating goal is too large. Maybe your goal is to write a novel in a year. It’s the same goal you’ve had for five years but so far you’ve completed two chapters and that was because you were recovering from surgery and couldn’t work and run three kids between events. A goal to create one fresh page every week day— even if terribly flawed—is much more doable. One page can even be done while waiting for the kids to come to the car after practice. Those pages add up and a habit will be bred that can be built on and from that a book will be born. Goals are meant to free, not shackle, us. Some people may spreadsheet their goals while others will work from a free-form list of three points. That’s okay, but setting appropriate written goals carries benefits of simpler lives, happier dispositions, and greater satisfaction. Why am I talking about this in December? It may take a whole month for this topic to simmer in your subconscious before you can face your deepest dream. In thirty-one days you might wildly imagine many goals you want to accomplish next year to further that dream. In 774 hours you can purpose one hour to quiet yourself before your Maker and ask him which of those goals he wants you to do. What goals did you set this year and how have you taken steps to accomplish them? What about next year? What dreams do you have? Do you have a record of progress, that is goals met? Have fun with this.